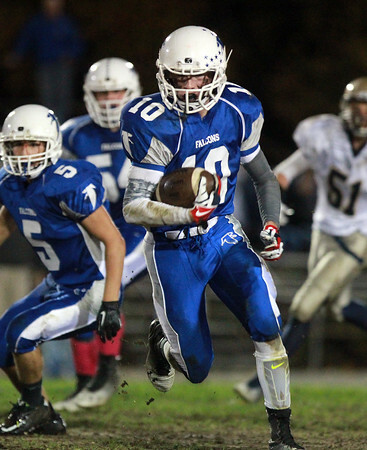 Danvers sophomore wide receiver Matt Andreas (10) breaks into the open field for a large gain against Winthrop on Friday evening. DAVID LE/Staff photo. 10/24/14.